Frederick Kāhu Edwin Hopkinson. Another light in our very wonderful world. Yeah, that’s his unfinished quilt in the top right corner. Not sure when I’ll be getting to that project again? Congratulations to your new arrival! Well, done, Sarah. Love the name! I love the introduction! Congrats, he’s….handsome! (As opposed to my standard ‘beautiful’, that too really). Congratulations! Turns out we have the same midwife – small world. 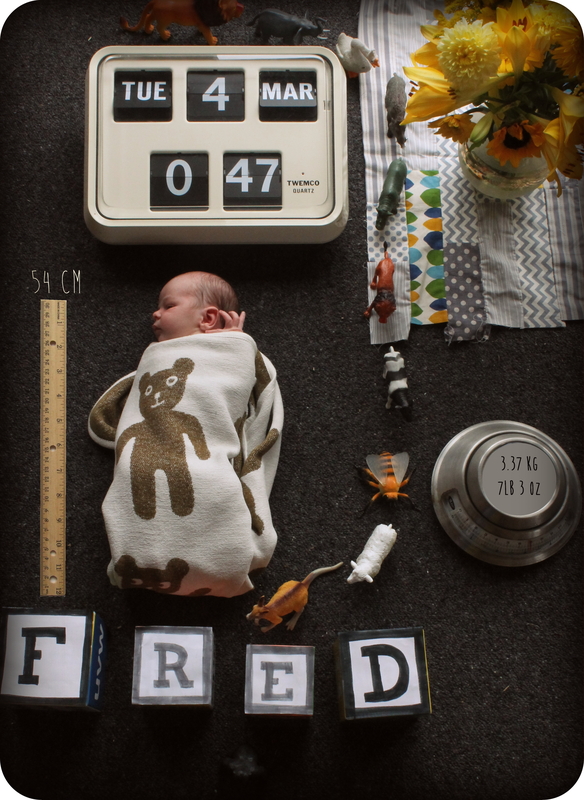 She would have been busy if Annelise had gone to term – Fred was born on her due date. He’s so cute! Congrats to all you Hopkinsons. Hope everyone is well. I am well and good back here in Dunedin. I am sure Albie is pretty excited and stoked. Take care!!! The facts of Fred! …very sweet and clever picture, Sarah. Love his full name as well.